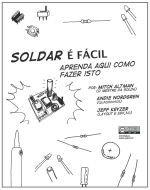 Do you want to learn how to solder? Do you want to make really cool things? 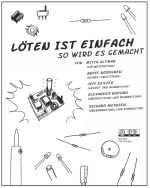 Do you want to teach other people how to solder (and make cool things too)? 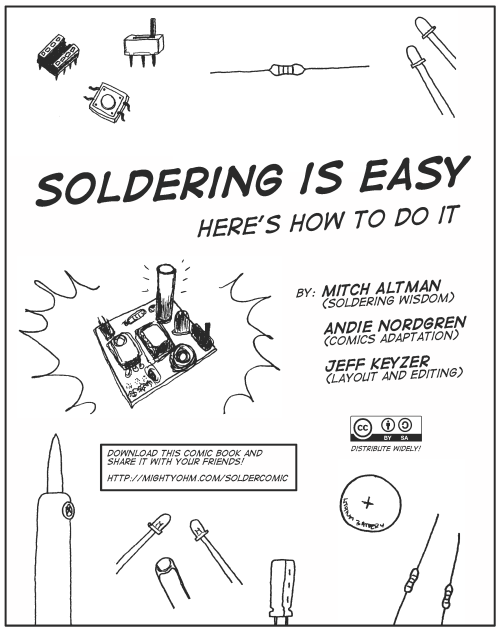 I’m happy to announce the release of Soldering is Easy, a comic book that will teach anyone the basics of soldering. 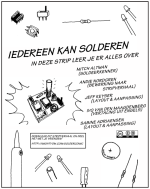 This seven page comic book explains in detail and with pictures how to make a good solder connection. 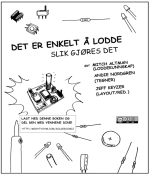 It also teaches you all the other bits and pieces of knowledge that you need to successfully solder together an electronic kit, even if you’ve never soldered before! I worked with Mitch Altman (@maltman23) and Andie Nordgren to create this revised and extended version of the wildly popular one page handout that Mitch and Andie created in 2010. 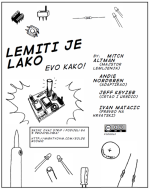 The comic (and lots more cool stuff!) 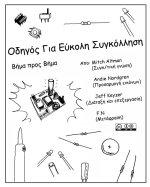 will be included in a book that Mitch and I are writing about How to Make Cool Things with Microcontrollers (For People Who Know Nothing). 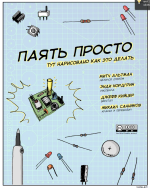 It will be published by No Starch Press. As of 2015 the comic book has been translated into 21 other languages! A huge thanks to everyone who sent in translations and is helping us spread our message around the world! We would love for people to translate the comic book into more languages! If you create a translation, please post a comment here and I’ll link to it! If you’re looking for help with a translation, you can try posting in the forums. 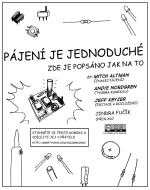 The comic is released under a Creative Commons license (Attribution-ShareAlike), so you are free to teach with it, color it, modify it, share it with your friends, translate it, and basically do whatever you like with it! 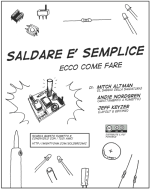 FullSolderComic_Booklet_11x17_EN.pdf – An 11×17 version that you can fold into an actual comic book (with 8.5×11 pages). 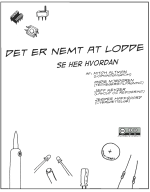 A PDF version without text is also available. 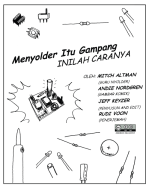 FullSolderComic.zip – the Comic Life source file used to create all of the other versions. This is probably the best place to start if you are making a translation, but you’ll need a Mac and a copy of Comic Life. Special thanks to Alexander Bodora for creating this table! And really, soldering is easy (and fun!). 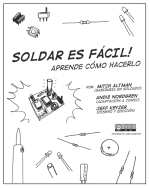 Learn how to solder and teach your friends! Previous PostOSHW Logo Announced, Eagle ULP availableNext PostAnother guest appearance on The Amp Hour! Sorry, I wish I could help, but I got rid of that cooler several years ago! 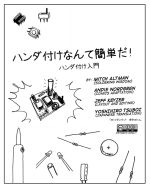 Very good idea.. it’ll really make soldering very easy and interesting… Can I get the PDF for the book? Or e-book? Please tell me if the link isn’t working so that I can upload it again. And Thanks for the awesome comic ! Got it. I’ll post to the site shortly. Thank you so much for your translation! Thanks to Mitch & the rest of the gang. Here is a Romanian Translation. I also sent it to you via Email a while back, you haven’t responded. So I am posting it here in the hopes you will see and add it to the list. Thanks for creating the translation! I’ll add it to the page as soon as I can (traveling this month so updates are slow). Great, but now you gotta update it please, cuz I didn’t do the translation, I merely did the editing. 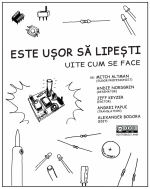 Translation was done by “Andrei C. Papuc”. List me secondary, please. Thx. Hope all is well. You should trim the leg of the component before soldering, not after soldering (That was what I learnt when I did high-reliability hand soldering). Reason: The core of many component legs is copper. If you solder then cut, you will expose copper which can easily corrode. If you cut then solder, you can cover the end of the component leg with a solder ‘shield’ thus reducing the corrosion aspect. This is what was taught to me by a NASA soldering teacher. So, whether it is fact or not, you tell me. But his qualifications were better than mine, so I didn’t argue. I’d recommend finding a 63% Sn/47% Pb (eutectic) no-clean flux solder, the good stuff. 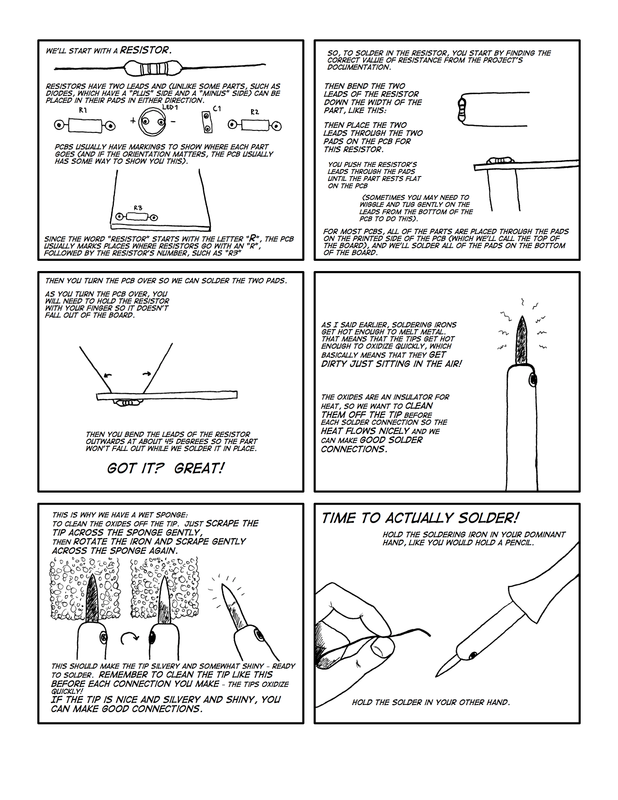 Outside of that I really liked your “How To Solder” comix. Just emphasize the solder needs to be presented at the iron/joint nexus. This is too cool, thanks a lot! Wow, this came along at just the right time for me, as I’m about to go out and buy a soldering iron tonight and try my hand at making some blinky safety lights and a Harry Potter wand, but the soldering bit scared the crap out of me and I was prepared to screw up and/or burn myself a lot. Thanks so much, I’m sure I’ll only burn myself a few times (I’m clumsy)! Could you please add booklet format for all translated versions? That is an excellent suggestion. I don’t think I will have time to do this before I leave for Europe next month, but if you need them sooner, it is not so hard to do – all I did was open the PDF file in Acrobat and “Print to PDF”, while selecting the booklet print option in Windows. (So I printed a PDF from a PDF!) This is the best way I have found to do it. Obviously, you would need Acrobat or some other PDF creation software to do this. If I get a chance next week, I’ll see what I can do, and if I could find an automated way to do it for all of the translations that would save me a ton of time. Don’t worry, I’ve found a free booklet creator app online. 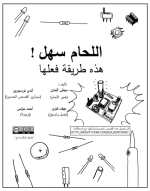 Yes, it would be really great to automate creation of booklet files of all the translations. 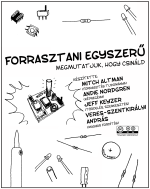 I would like to announce my Polish translation. Is this missing IPA cleanup? Flux removal isn’t really necessary when you’re first starting out, but that would be a good topic for an extended version of the comic. German Version FINISHED! Sent via Email to Mitch Altman and Jeff Keyzer!!! I really like the idea of soldering comic and i have heard a lot about it from The Amp Hour. 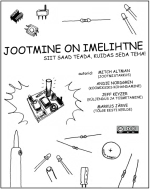 Since I have not given a lot to the community of hackers I am going to do translation of The soldering comic to Estonian language. Since I am an University student and it is exams period at the moment I plan to finish it by the end of the June. Just a note, so if anyone else happens to come up with the idea (thou it is highly unlikely) they/he will not have to do empty work that has been done all ready. im offering u to translate it in Bahasa Melayu, Malaysian mother tougue. do drop me an email. Stranded wire where each strand is coated with insulation is pretty unusual, but I have heard of this being used for audio cables before. 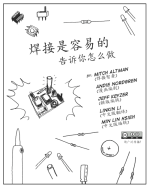 Usually, enameled wire is just a single conductor, this is the kind of wire that is used in motors and electromagnets. Various ways to remove the insulation include burning it off with a soldering iron (liquid flux helps), a match or lighter, or using sandpaper (obviously this won’t work very well for the inner strands). I understand soldering the wire where you strip off the (pvc?) insulation to get to the copper..
but what about stranded wire type, where its a bunch of super thin wires that twisted and individually coated with some kind of insulating paint, so there’s no access to solder to! How do you solder to something like that? There are to options, one is that you want to solder just tips of stranded wire, so you can seperate wire tips from eachother then use a solvent to wipe off the color/coat of them then solder them one by one or use a solder pot and carefully sink the tips into it. The other option is, you want to solder two bunch of wire together, in this case you have to seperate wires a little bit more from eachother and also do not forget insulation! About the solvent, usually ACETONE or THINNER solvent is a good choice.